An intergovernmental agreement on the Turkish Stream pipeline has been signed in Istanbul in the presence of both Russian President Vladimir Putin and Turkish President Recep Tayyip Erdogan, who held talks earlier. 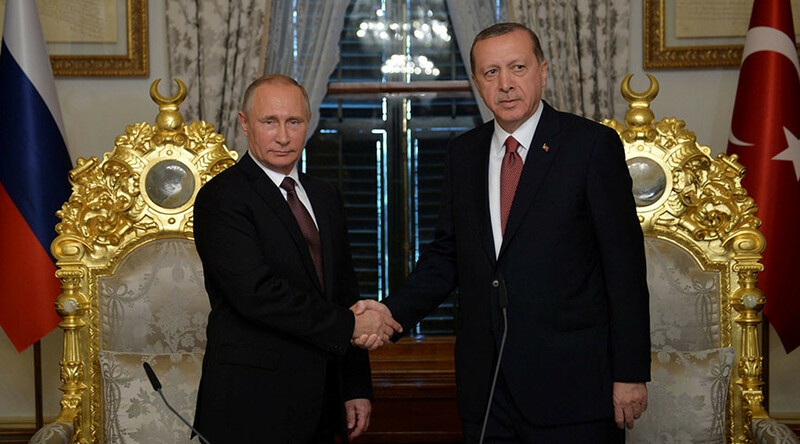 “You now witnessed the signing of the intergovernmental agreement on the construction of the Turkish Stream. As part of this project and the broadening of our cooperation, we agreed on a mechanism by which to provide a discount on gas [for Turkey],” Putin said at the press conference following the signing of the agreement. “This way we are moving towards realizing the plans of the Turkish President to create a major energy hub in the country,” he added. According to Russia’s Energy Minister, Aleksandr Novak, Gazprom and Turkish energy giant Botas have already been tasked with working out the amount of the discount. “Right now, by those signatures, we make a decision to intensify works on the construction of the Turkish Stream. Another important issue was [Turkey’s first ever] Akkuyu Nuclear Power Plant. Here we reached an agreement to increase the construction pace even more. I’m sure that we’ll be able to catch up on the time that was lost recently,” Erdogan said. Earlier on Monday, Gazprom CEO Alexey Miller said that the Turkish Stream project agreement envisioned the construction of two pipeline branches, each with a capacity of 15.75 billion cubic meters (bcm). The first branch will supply gas directly to Turkey, while the second is to be used to deliver gas to European countries through Turkey, he explained. “The intergovernmental agreement would also define the deadline by which the two maritime threads are to be built. It’s December 2019,” Miller said. Russia will construct and own the maritime stretch of both Turkish stream branches, Novak said. The land part of the branch, supplying gas to Turkey, will belong to a Turkish company, with a joint venture to be created which will assume ownership of the transit pipeline, he added. 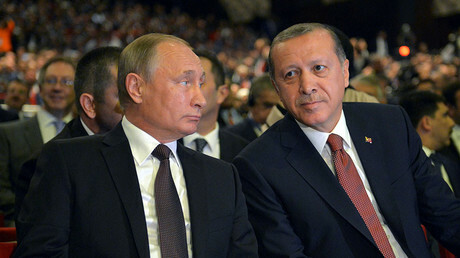 During his speech at the 23rd World Energy Congress earlier on Monday, Putin said that he and President Erdogan had thoroughly discussed the joint Turkish Stream pipeline ahead of the visit, saying they “intend to implement” the project. — RT (@RT_com) 10 октября 2016 г. The pipeline would allow Russian natural gas to be delivered directly to Turkey via the Russian Black Sea coast and on to Greece. The agreement on the Turkish Stream is “good news” for the economy and “for the countries directly involved” Mark Thornton, an American economist from the Ludwig von Mises Institute, told RT. “It means billions of dollars in investment, it means thousands of new jobs, good paying jobs in many countries – Russia, Turkey and many European countries as well. And it is going to be greater access to energy sources for a very large area of the world, lower prices, and most importantly greater diversification of the sources from which we get energy,” Thornton said. “Europe has always relied on Russia for energy, particularly oil. In more recent times, natural gas. So, the idea that this represents anything new is really ludicrous. Russia is one of the only long-term energy exporters. Of course [it] has been joined by the UK and Norway in recent decades. But this is a tradition, it’s going back for a century,” he added. The project, with an estimated total cost of €11.4 billion (US$12.7 billion), was announced in December 2014 during Putin’s visit to Turkey as an alternative to the canceled South Stream route through Bulgaria. But after the downing of a Russian jet by the Turkish Air Force in November 2015, Russia suspended the project. It was revived only after Turkey publicly apologized for the incident this August.